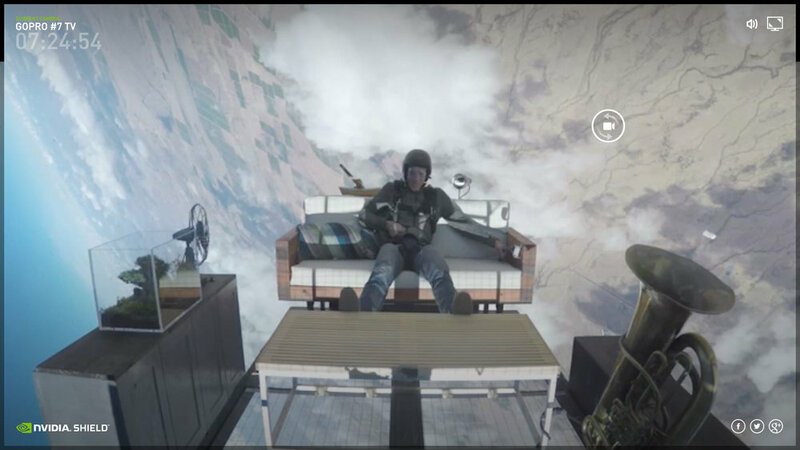 To show how NVIDIA SHIELD could rule the living room, we strapped Jeff Provenzano into a living room and threw him off a plane. 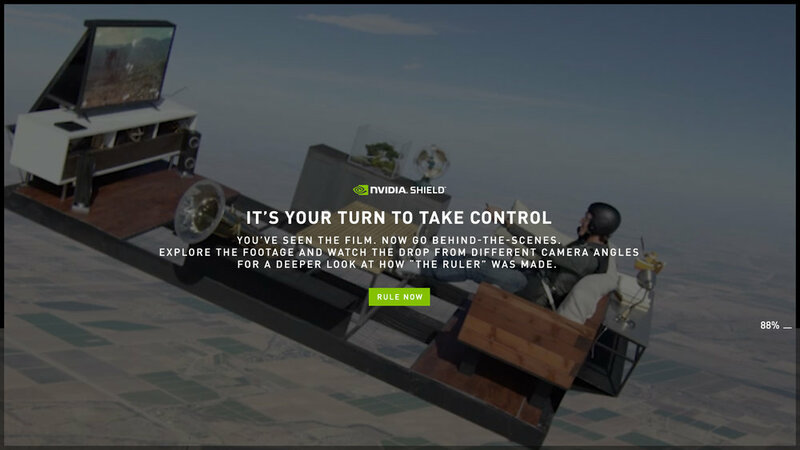 To complete the experience, we also designed a landing page for people wanting learn more about NVIDIA SHIELD. Other than the kitty parachute and the video on the screen, everything in the video is 100% real. To prove that, we also created an interactive site that allowed the viewer to control the video by toggling through different POVs.